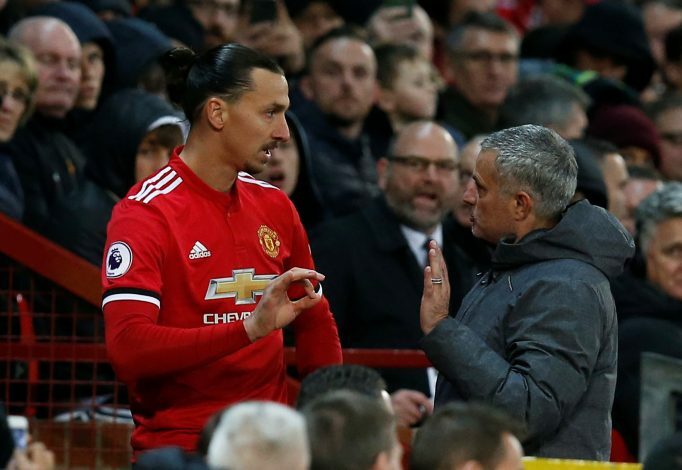 Manchester United could end up scouting for striker backups due to the fear of Zlatan Ibrahimovic getting haunted by his recent knee injury again. The former Swedish international sustained an almost-career-ending injury during his side’s Europa League clash last season. A ruptured ACL ligament saw Zlatan out for the rest of the campaign and half of this season. Nevertheless, the decorated striker made an impressive recovery, surprising even his club officials. Then on, Ibrahimovic featured five times for the Red Devils, and unsurprisingly, failed to register a goal. However, the former Barcelona man’s involvement off the ball hasn’t quite been above average for the most part, and he hasn’t exactly fit into a substitute striker role so far. And according to The Sun, boss Jose Mourinho is aware of the possibility of the Swede never making a complete comeback in the future, and will consequently be on the lookout for possible replacements. The 36-year-old is still yet to reach full match-fitness, and will be monitored by the club medics during his recovery sessions. Romelu Lukaku, on the other hand, hasn’t shown any form of reliability against top sides in England, and has gotten even less confident in front of goal due to the recent criticism. Though it is unlikely that Mourinho would completely forget about his £75 million signing, it is not unheard of him to replace a star player in a single instant.